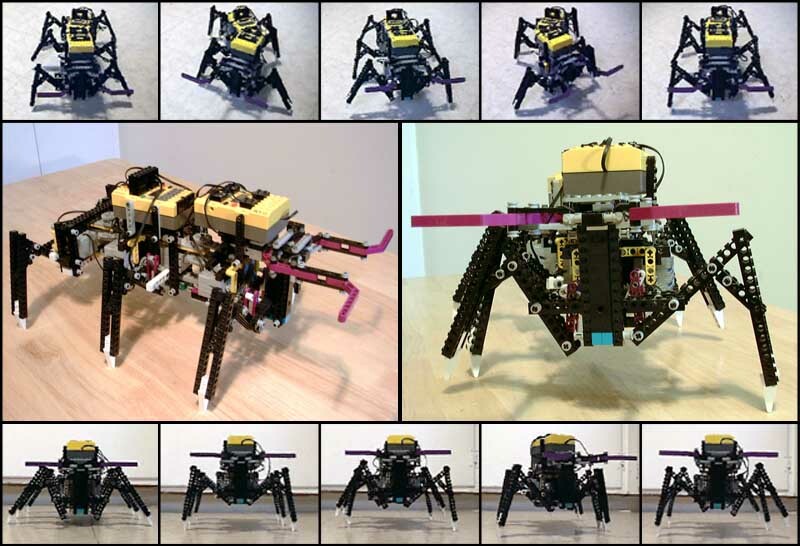 Flik is a hexapod Lego robot designed to mimic the gait of an ant. 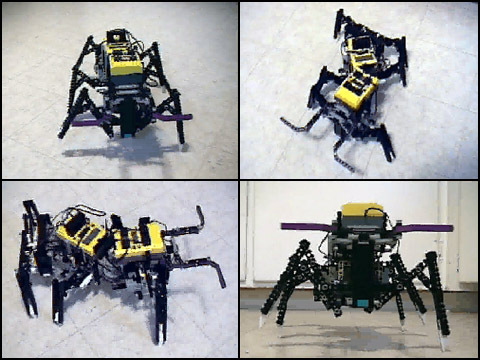 He uses 8 motors and two RCX units to allow independent control of the articulated segments. He uses two RCX boxes since the design requires 4 motor channels in order to let Flik turn while walking. One RCX unit acts as a master, the other a slave and they talk to each other using the Minstorms IR protocol. The slave sends a signal to the master when the antennae touch sensors hit an object, and the master unit processes that signal and sends leg movement commands back to the slave to make Flik reverse, turn away from the obstruction and continue forward. Flik is 100% Lego and recently received a leg upgrade to locking linkages so he can hold himself up against gravity without energizing the motors.